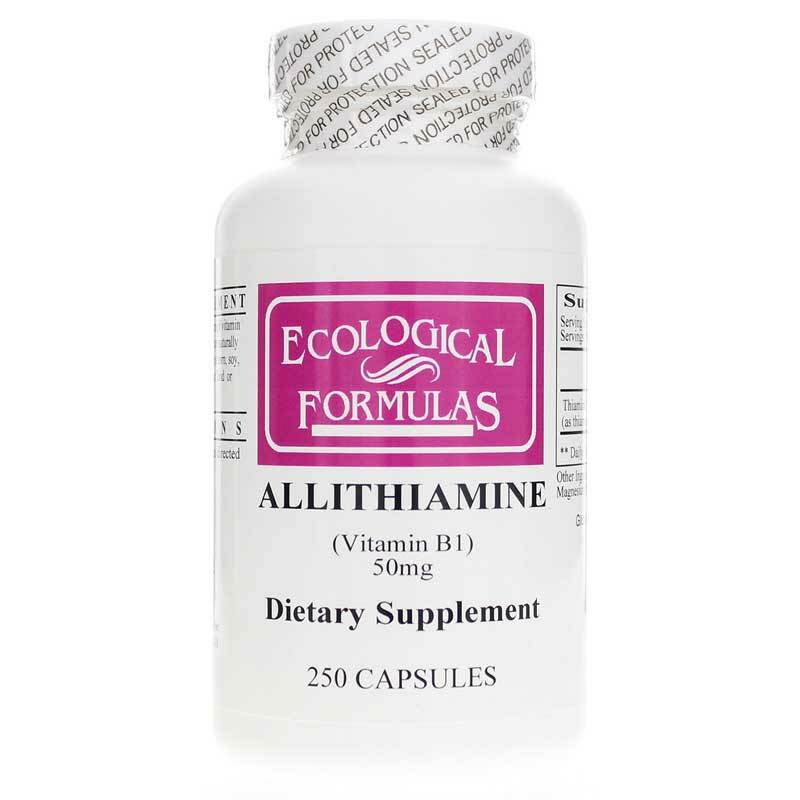 Allithiamine (Vitamin B1) from Ecological Formulas contains a special form of vitamin B1 and other nutritional co-factors that are naturally occurring in garlic. This formula is free of corn, soy, yeast, wheat, phenol or other common food or chemical allergens. Contains NO: gluten, casein, corn, soy, yeast, wheat, phenol or other common food or chemical allergens. Adults: Take one or two capsules per day, or as directed by a physician.